Located directly underneath the restaurant, the Colonial parking lot is located at the corner of 30th and K streets. Enter the garage and follow the signs for level P2. Once on the P2 level follow the red signs to Sequoia. The elevator has direct access into the restaurant. After almost 30 years, we are so proud to be one of DC's extraordinary establishments and the Sequoia you know and love. 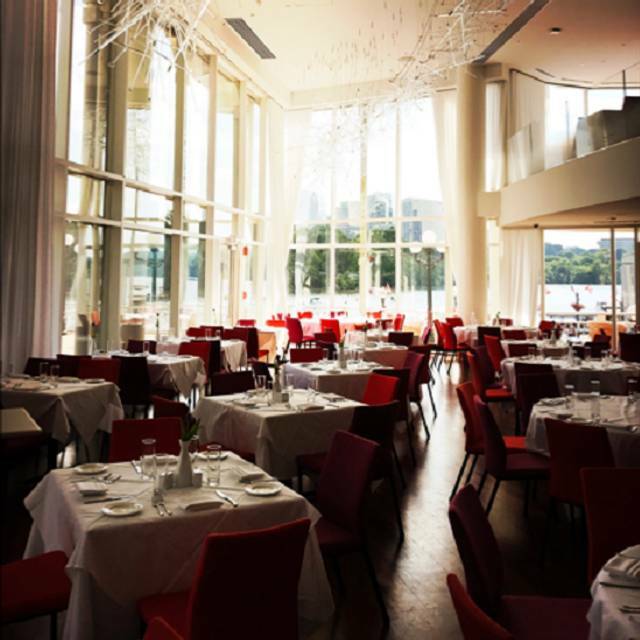 The newly renovated beloved restaurant is located in the Washington Harbour on the Georgetown Waterfront, right along the banks of the Potomac River in Washington, DC. 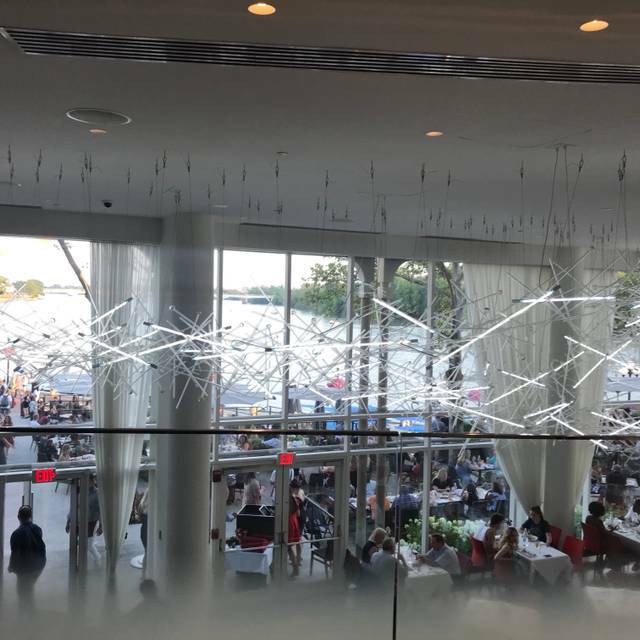 The vast floor-to-ceiling windows offer magnificent views, and our interior design is just as amazing as our surroundings! 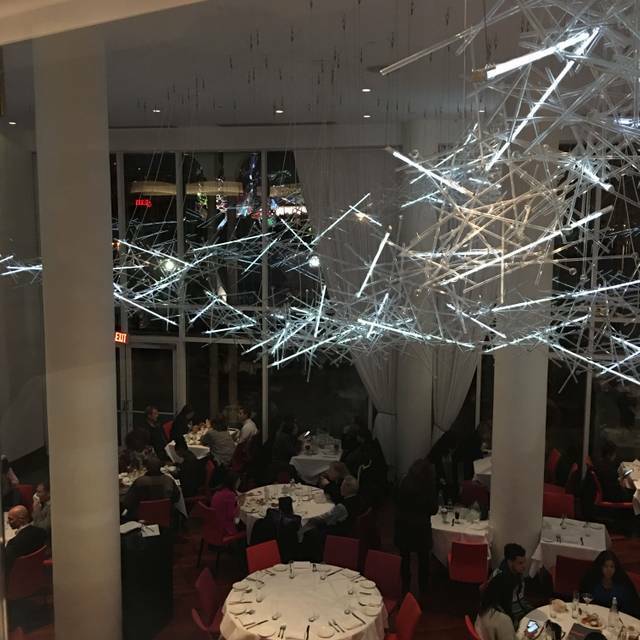 The entire restaurant is filled with contemporary art featuring Hitoshi Kuriyama's vast neon glass tube light installation along our ceiling and Arne Quinze's grand colorful sculpture called Scarlet in our garden, as well as several other art installations throughout. We also offer incredible options for Private Events & Catering. 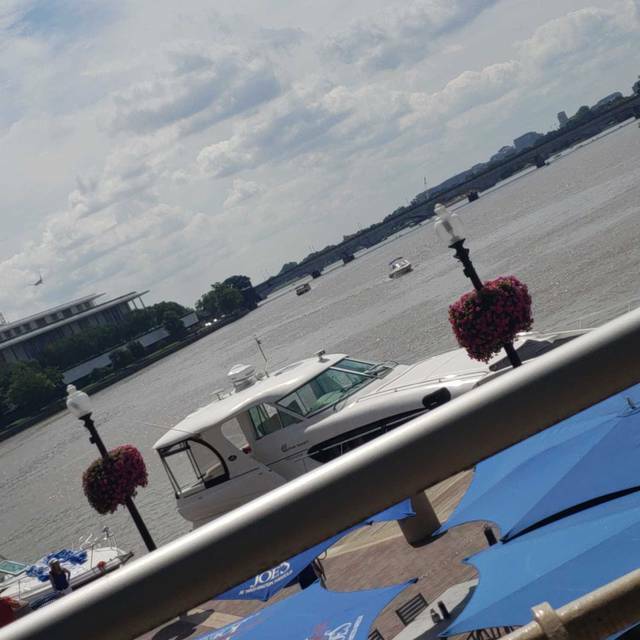 So please come back to enjoy yourself again and revel in some of the finest cuisine & cocktails DC has to offer! 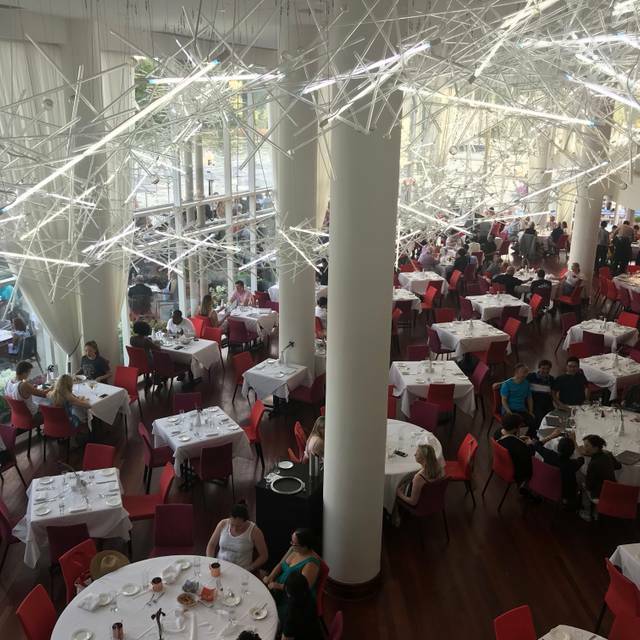 Muy decepcionante, era un lugar de una excelente comida y atención impecable, se nota el cambio de administración y del Chef, ahora es un lugar de comida rápida donde todo mundo va en fachas y el servicio es pésimo!!!! ADEMÁS ME INTOXIQUE CON LA SOPA QUE ME DIERON!!! Over all the food is good. I normally come for brunch and the only con is that every time I come the brunch menu changes. So it wasn't what I was expecting. I remember there being many food options before and now it's been cut down a lot. Still good but not as good as it use to be. We went for Saturday brunch. They’ve changed their formula from a buffet-style brunch to and order from the menu style. It was still a pleasant experience. Our waiter was very nice and quick with his service. So-so service. Red wine wasn’t good. We have had brunch nearly everywhere in the city; Sequoia surpasses them all. The price is steep, but worth it. They have more variety on their buffet than any I have ever seen, and the quality is amazing. There is no time limit on how long you can stay and brunch. Our server, Alexis, took excellent care of us. We will be back! Excellent food and service! Be back in 6weeks. Great place, good food & friendly service. Would be 5 stars across the board but we were pushed to a side dining room due to a wedding in the main dining area. Certainly no one’s fault, just unfortunate timing for us. The main room with huge windows and river views is fantastic. I think the busy event slowed down service a little. But a good experience nonetheless. Sequoia will be a regular stop on our trips to D.C. Sat there for an hour and half with a cocktail and appetizers but my meal never showed up- guests from out of town with me- needless to say- huge disappointment and cannot recommend to anyone! 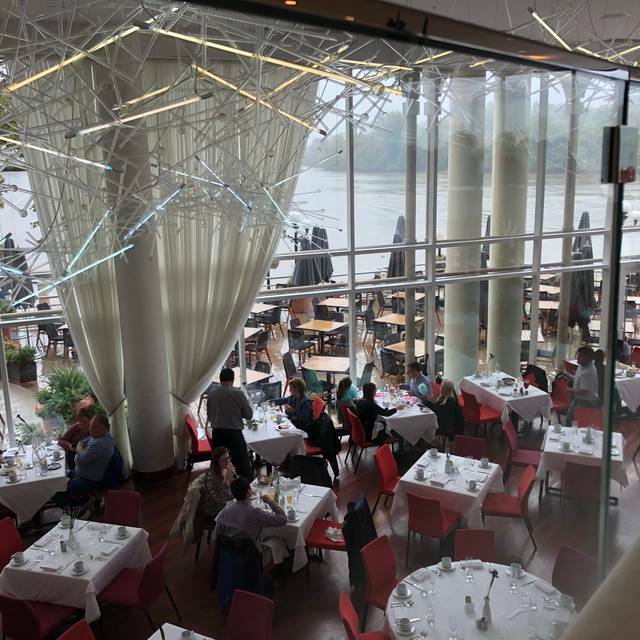 We don’t know the area well and wanted an upscale restaurant with a view. The experience was a little off, but we still enjoyed ourselves. Granted it was Sunday night, but still you would expect a bit more. Took a while to be greeted, but when we finally were, our server was fantastic. Very friendly and accommodating. Older gentleman. The issues were more with the atmosphere. The music was completely off for about 45 minutes in the first half of our dining experience. Not sure about e drying else, but restaurants feel strange with no background music. They were out of bread, but the charcuterie was fantastic. Would have been awesome if we could have had a combination of meat and cheese, but that was not something they can do. Overall, the food was decent and priced fairly, but certainly nothing memorable. It was a special night, so memorable was what we were looking for. If you’re looking for a casual/moderately upscale restaurant with a large group, this could be a great stop. A date though, I would keep shopping. Food arrived lukewarm (crab cake), Pasta tasted bad. Service was unprofessional and inattentive: the server forgot us numerous times, leaving us for 20+ minutes even though we were ready to order; didn't bring a bread basket; wasn't diligent about water refills; mistaken about the menu. Food was mediocre: the portions are small, and the food prepared passably but not well. Definitely not worth the price. Ambiance is nice, and which has made me a repeat customer, but given the poor experience this time I may cut Sequoia from my rotation now. Love this place, but they took off the lobster guacamole. Sad day! Service was ya great this time either, hopefully next time it will be good because this is one of my favorite places. I love It every time I come, the different variety in food and drinks are excellent. I was a bit disappointed in the food at Sequoia this time, but it is hard to beat this spot for a spring afternoon. And to a large extent the brunch buffet makes up in quantity and selection for what individual items may lack. Two or three specifics: the hollandaise is assembly line and came out of a squirt bottle; the egg chef couldn't make an eggs chesapeake even though she had english muffins, crab cakes (at the next station), and the bottle of hollandaise. The biscuits were cold despite being kept in a heated skillet. The sushi was also just so-so. 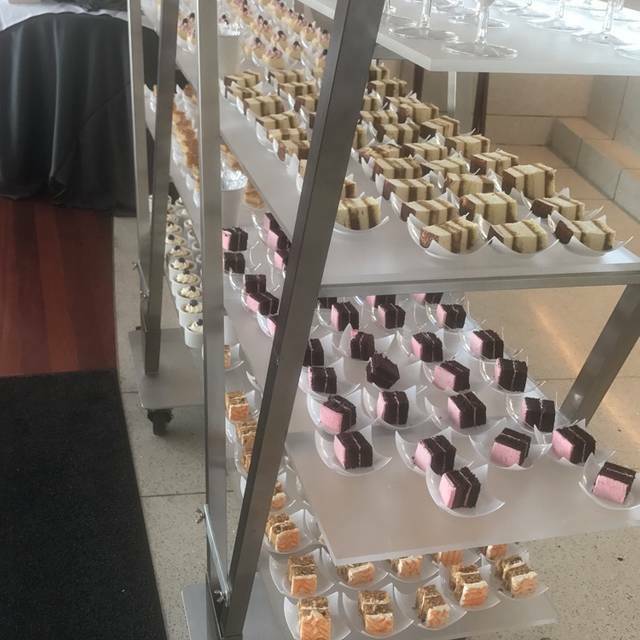 On the plus side the salad bar was outstanding as was the totally excessive dessert station, complete with cotton candy for kids of all ages. And the crab cakes were excellent. I guess you just have to keep trying until you find the offerings that are fresh and well-prepared, but for the price -- which is steep and geared to patrons who plan to belt back a couple of mimosas or bloody marys --- you expect consistency and uniformly high standards. Despite these grumbles, the outdoor deck is still one of my favorite spots and a great place to enjoy a sunday brunch. Always a good experience love the customer service!!!! Not what I thought but totally loved! Took my boyfriend here for unlimited brunch as birthday treat (because he loves seafood) and whilst it wasn’t as tame/romantic as I expected it was fun, buzzing and very vibrant! Lots of groups for birthdays & events but no-one being excessive. System for getting food and drinks worked well (only once did we have to get the attention of server for a top up). As a veggie, there was also lots of options for me (eggs a million different ways, salads, home fries, mac & cheese, fruit platters, desserts, cotton candy, cheese boards, waffles etc...) but I definitely think if seafood is your thing it’s a great deal! Please note it’s not hot seafood (excluding the paella) but my boyfriend ate plenty of crab legs, mussels, jumbo shrimps & cerviche as well as sushi. There’s also cavery meat, tacos and a Bloody Mary Bar. For $70 per head with around 8 drinks each it was fantastic value especially for DC... 100 percent returning! Great brunch and one of the liveliest spots I've dined at. Not worth the price. Average Vegas like buffet for $80 / person. Brunch is really extensive and fantastic. It's expensive, particularly if your party doesn't take advantage of the free alcoholic drinks (like ours didn't), but the spread is fantastic and the views are great. 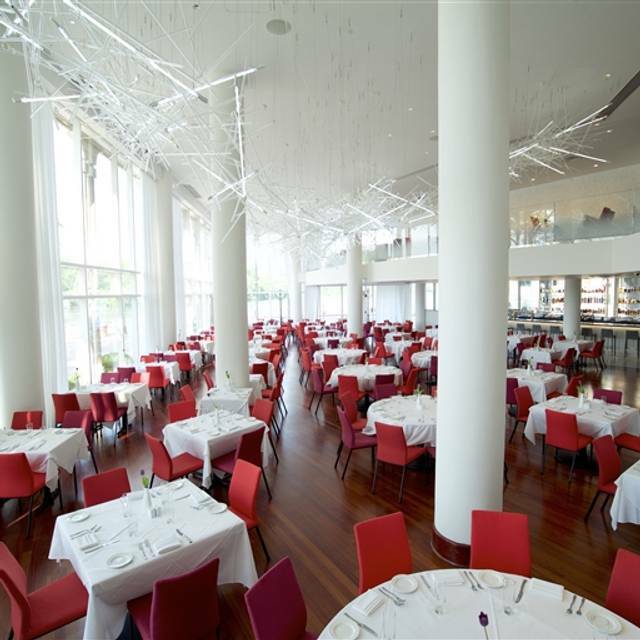 The airy atmosphere and ambiance is the first thing that captures you. I have been to Sequoia several times and always feel special. Our waiter was pleasant, very attentive and informative. In a word his service was OUTSTANDING!! Will be returning for our other special events. Food was amazing, wide selection of different cuisines. I love the ambience of Sequoia! Our waiter was a little overwhelm we didn't get a chance to order additional items from the menu it seem his attention was on the tables that had a larger party of people, it was just two of us. Service was fantastic. Ambience was nice. Extremely overpriced even for the DC area. yes! we went for our 5th wedding anniversary, and got a table with a beautiful view! food was amazing, service was impeccable. we even got complementary champagne toast! loved it. Restaurant looks good and is very clean. However, we had a Disappointment with the not very nice and intrusive service. Food was ok but not as expected. The food (lunch) has improved in the recent past. 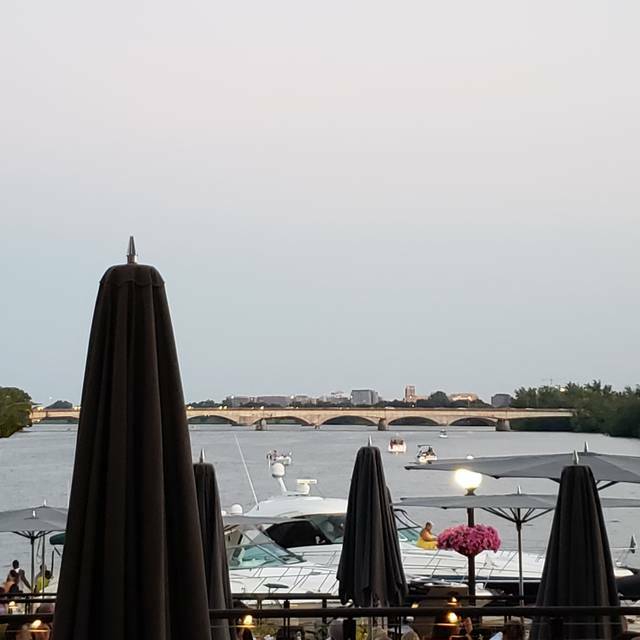 But the prices of alcoholic beverages ($18 for a glass of red wine and $14 for a glass of white wine) are on the high side, even for a Georgetown restaurant. Service continues to be excellent. One of the best brunches in the city!!! My favorite! I've been going to Sequoia's for 25 years. Not sure why the food was so bland, and the service so poor, but the atmosphere was a great as always. With a great location, wall of windows, and upbeat atmosphere, Sequoia has been a Washington landmark for many years. The food is mostly tasty, although slightly bland. The concern this visit was the spotty service with our server disappearing for long periods of time. If it wasn’t for the helpful maitre’d, we would’ve waited nearly 40 minutes before ordering even appetizers. Good food, good placement & good service. Overall pricing is in alignment for the area but could use adjusting. I made a reservation for a party of 7 at Sequoia for brunch on Saturday. It was my first time there and I was looking forward to having a good time with my 6 friends from out of town and enjoying some delicious tapas and mimosas. Everything started out great. We were served delicious mimosas and the food for myself and two others was served almost right away. The food for the rest of my party, however, took over an hour to be served. I found it odd due to the lack of people in the restaurant that day. We were told that the kitchen was running behind, but the restaurant was not overly full. The manager came over an hour later, apologized and brought out the rest of the food herself, but at this point, I was very embarrassed and my friends were ravenous. I wanted to enjoy the rest of my meal but was unable to as I knew that my friends were super hungry and tired of the wait. On top of that, some of the mimosa glasses had lipstick stains on them when we first arrived. The food and mimosas were great, but I am hesitant to recommend Sequoia to a friend. I would hate for someone else to have the same experience. I hope this is something the restaurant can work on. Everything was great! Our server was fabulous and the atmosphere outside was fantastic. Thanks!